You can quickly wash a soiled shirt in your bathroom sink, but if you don’t have a clothes dryer then you can forget about wearing it right away. Hanging it to dry takes hours, unless the hanger you’re using is actually this compact clothes dryer from Thanko. The vast majority of Thanko’s catalog usually leaves us rolling our eyes, but it’s easy to see why this electric hanger, which sends a gentle blast of warm air down through a hanging garment, could be genuinely useful. 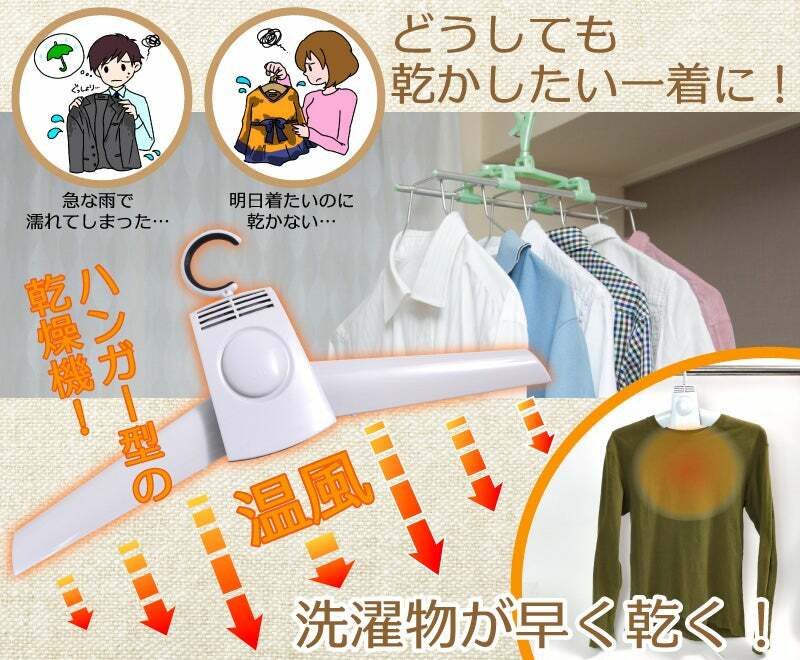 You just snap on a pair of ventilating arms, slip it into a garment, turn it on, and instead of waiting hours for evaporation to do its thing, you can dry a shirt, pants, or almost any article of clothing in a matter of minutes. The $50 hanger also comes with a swappable pair of articulated arms designed to quickly dry a pair of boots from the inside. But if you’ve got a shirt or blazer with long arms that aren’t quite getting dry, there’s no reason you couldn’t use this accessory for a few minutes to direct the warm blast where you need it to be.